To make an appointment, fill out the form and we will contact you to discuss appointment times. Dr. Friedman is originally from West Orange, New Jersey. He received his undergraduate Bachelor of Science degree in Biological Anthropology and Anatomy with a minor in Chemistry from Duke University in Durham, North Carolina. Dr. Friedman also spent a semester abroad in Tokyo, Japan where he studied Japanese and Asian Studies. Upon returning to New Jersey, he attended the University of Medicine and Dentistry of New Jersey (UMDNJ), where he received his Doctorate of Dental Medicine (DMD) in 2011. 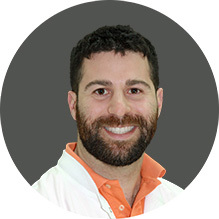 Dr. Friedman then completed his orthodontic specialty training from the University of Detroit Mercy in 2013, where he received a Certificate in Orthodontics and a Masters in Oral Sciences. Dr. Friedman is currently a member of the American Association of Orthodontists, American Dental Association, Michigan Association of Orthodontists, Michigan Dental Association, and Alpha Omega Dental Fraternity. He is also board certified by the American Board of Orthodontics. Born in California, Dr. Nisa Goshtasbi grew up in Orange County and attended Irvine High School. With a passion for the sciences, Dr. Nisa attended University of California, Irvine (UCI), where she studied biology. It was during her college years that she found her love for the health-care field, volunteering at the Children’s Hospital of Orange County, and conducting research at UCI School of Medicine. Her research project earned her a publication in the American Journal of Nephrology. Dr. Nisa then attended University of Pacific, Arthur A. Dugoni School of Dentistry, where she received her Doctor of Dental Surgery degree, graduating in the top of her class. Following dental school, Dr. Nisa completed her postgraduate training and earned her M.S. and Certificate in Orthodontics at University of Detroit Mercy. During her years in specialty training, Dr. Nisa treated comprehensive orthodontic cases for children and adults, limited and adjunctive orthodontic cases, and orthognathic surgery cases. She utilized many techniques and appliances including expanders, mini-implants, traditional braces, self-ligating braces, esthetic all-ceramic braces, functional appliances, and Invisalign, among others. Dr. Nisa is also trained in providing splint therapy for TMD patients. Dr. Nisa maintains an active membership in the American Association of Orthodontists. 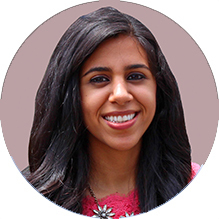 Dr. Nisa finds that orthodontics is the perfect blend of art and science and she is grateful for being able to pursue her passion in this field. Creating a beautiful smile can improve long-term dental health and well-being. Dr. Nisa has also seen first-hand how effective orthodontic treatment can be in improving a person’s confidence and self-esteem. The joy of positively impacting her patient’s lives is what continuously motivates Dr. Nisa to provide the best care to her patients. Outside of the office, Dr. Nisa enjoys leading an active and healthy lifestyle. She grew up playing volleyball with her two brothers, and continues to play volleyball in Michigan. Dr. Nisa is happily engaged to her fiancé. They love travelling the world together and both love the beautiful four seasons Michigan has to offer.